Green and Spiegel, LLC, is pleased to announce the creation of the International Supply Chain Initiative. In partnership with Laurel Bellows, founding principal of The Bellows Law Group, P.C., the International Supply Chain Initiative provides guidance to multinational corporations with regard to anti-human trafficking and supply chain management. It is well known that human rights issues within supply chains have increasingly drawn the ire of legislators and members of the public alike, with disastrous incidents (such as the 2013 Rana Plaza collapse in Bangladesh) as well as increasing press coverage of related practices, serving to highlight ongoing problems within virtually all areas of the global marketplace. Driven by the demand for cheap goods, services and labor, companies have often looked for ways to increase production and decrease employment costs. This has led to problematic supply chain management practices, with multinational organizations turning to less desirable offshore labor forces that engage in such practices. Businesses which proactively work to adopt anti-trafficking and forced labor measures stand to benefit tremendously by “future proofing” their operations against regulations, as well as mitigating potential current and future liability and damages. Through our two-track offering, the International Supply Chain Initiative can not only assist your company in the creation of policy and training materials, but can also provide liability assessment and mitigation services with respect to anti-human trafficking initiatives. Your company will be provided with the ability to fulfill its legal obligations regarding anti-trafficking and supply chain management, while simultaneously demonstrating to consumers and global communities its standing as a responsible corporate citizen. Craft a detailed policy explicitly prohibiting the use of trafficked labor and child labor within Company operations. Require first-tier suppliers a similar policy (as a condition of supplier contract), with terms designed to eliminate unethical or illegal labor practices, as well as specifically protect the Company. Provide training to employees in key positions to identify and prevent human trafficking, child labor, and similar unethical practices. Completion of the Policy and Training Module will result in a compliance certification from the International Supply Chain Initiative. Comply with relevant state, federal, and international reporting requirements regarding labor policies and related workforce and supplier integrity efforts. Publicly release relevant reports and other details regarding these efforts. Engage in the continued and ongoing evaluation of company and first-tier supplier operations to ensure the integrity of the global workforce and identify any existing (or potential) violations of policies regarding trafficking and child labor. Retaining the services of a credible and independent third-party auditor in order to review operations, detail any existing or potential violations, and practices. Identify areas of particular risk for violations in the future. Actively monitor supply chain operations. Structure operations in a manner which minimizes direct exposure (supplier indemnification, prevention policies, credible internal auditing). Create mechanisms to address the core issue (where and how the labor violation occurred), as well as providing appropriate compensation or other victim services. Identifying and addressing core internal and supplier issues which contributed to the occurrence of the violation. Provide remedial training to Company employees and relevant first-tier supplier personnel. Completion of the Assessment and Remediation Track will result in a compliance certification from the International Supply Chain Initiative. Laurel Bellows, founding principal of The Bellows Law Group, P.C. is an internationally recognized business lawyer, whose law firm offers strategic business counseling and litigation services to entrepreneurs and companies of all sizes, including large corporations. 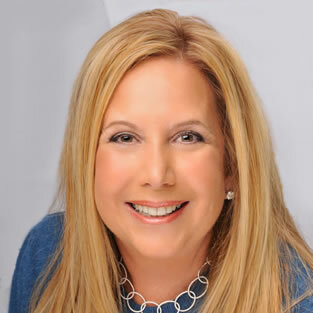 She has extensive experience counseling senior executives and corporations in the United States and globally on employment matters, including employment and severance agreements, executive compensation, workplace disputes, and business conduct standards. Laurel counsel’s corporations relating to anti-trafficking, risk assessment, supply chain and recruiting policies, and cybersecurity. 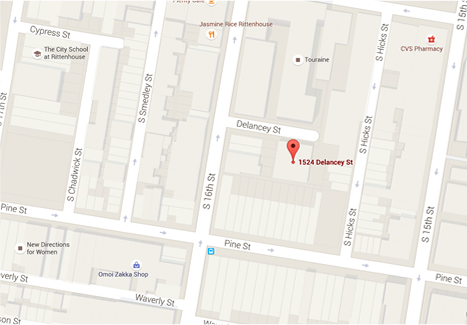 Her firm litigates zealously and efficiently on behalf of employers. Laurel is the former President of the nearly 400,000-member American Bar Association and former President of the Chicago Bar Association. Laurel is Past President of the International Women’s Forum Chicago, and is a Global Board member of the International Women’s Forum. She served on Minister Gordon Brown’s Global Citizenship Commission to update the United Nations Universal Declaration of Human Rights. 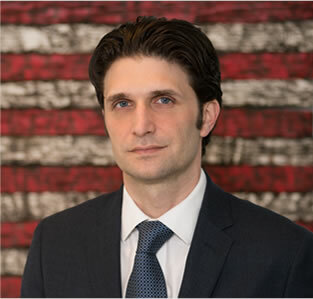 Jonathan Grode directs the Immigration Law practice for the United States offices (Philadelphia, PA, Providence, RI, and Vail, CO) of Green and Spiegel LLC. Jonathan has worked continuously in the U.S. business immigration law field since 1999 and has amassed considerable experience obtaining non-immigrant and immigrant visas for new company start-ups, professional workers, artists and entertainers, athletes, physicians, and scientific researchers. In addition, Jonathan has significant experience dealing with Department of Labor and Department of Homeland Security enforcement actions as well as with EB-5 Investor filings. Jonathan has been at the forefront of the progressive effort for anti-human trafficking employment regulations through his leadership on the American Bar Association Labor and Employment Law Section Human Trafficking Task Force, and most recently as the ABA Labor and Employment Law Section’s Liaison to the Commission on Immigration. He has been a panelist and moderator on immigration law topics for numerous organizations, including the American Bar Association, Greater Philadelphia Chamber of Commerce, French Chamber of Commerce and Industry, and the American Immigration Lawyers Association, Philadelphia Chapter. He also writes regularly for industry publications and academic journals, and is an Adjunct Faculty Member at Temple University’s Beasley School of Law where he teaches Business Immigration Law, Advising Global Corporations, and Law Practice Management. 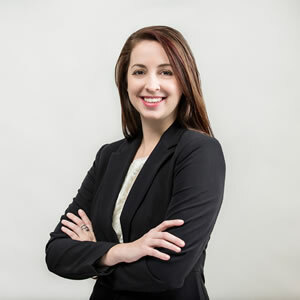 Emily Brown is an Associate Attorney with the Firm in Philadelphia, leading the Family Immigration Department. She also develops policies for the International Supply Chain Initiative, to advise on how to identify human trafficking and forced labor in global supply chains and eliminate these problems. During law school, Emily worked as a Law Clerk for U.S. Immigration and Customs Enforcement in the Human Rights Law Section, strengthening protections and legal remedies for victims of human trafficking. Also, as a Case Manager for the International Refugee Assistance Project, she secured resettlement in the United States for a family of refugees fleeing terrorism in Africa. During her graduate program, Emily prepared a Human Rights Impact Assessment for the American Bar Association Center for Human Rights, which analyzed international trade agreements’ effect on labor laws in Asia and how to protect workers’ rights. She has studied human rights, migration, and international affairs in the Middle East and Europe. Currently, Emily is also a volunteer Sexual Assault Victim Advocate for Gloucester and Camden Counties, NJ. Consumer Pressure Mounting: Is Your Supply Chain At Risk of Forced Labor?